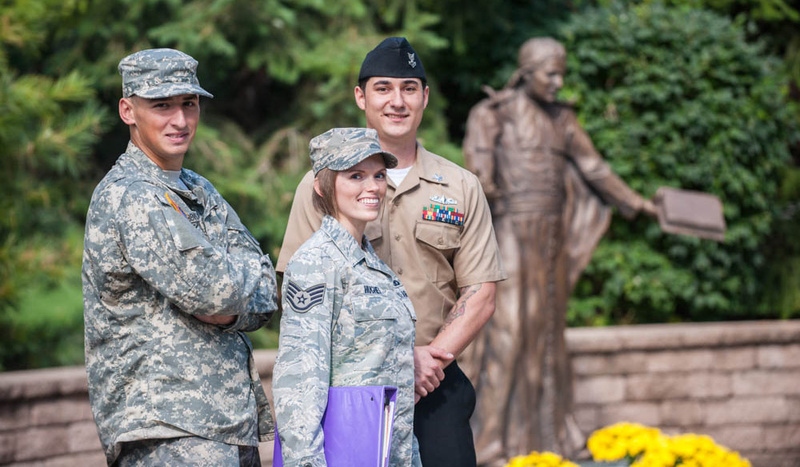 Lewis University is grateful for the dedication and service of our armed forces and we are committed to supporting you in reaching your academic and career goals. Whether you are active duty, or a veteran, we can assist you and eligible dependents as you begin or continue your education. Lewis University removes barriers to attaining a high quality education, Veterans, Service Members and Service Members Family Members do not pay an Application Fee. Please refer to any of the links on our site to get started with your degree.